Ronnie Pertnoy was the guest of honor and award recipient at a cocktail reception to celebrate the new Mandel Jewish Community Center. The reception took place Nov. 29 at Temple Emanu-El. Stacey Levy, Barbara Kay and Susan Shulman Pertnoy were chairwomen for the event, which recognized Ronnie Pertnoy with the Bonei Kehillah – Builder of the Community — award for his role in the design, development and building of the new facility, scheduled to open this summer in Palm Beach Gardens. Pertnoy, chairman of the building committee, is the founding principal partner of Shapiro/Pertnoy Cos. and has more than 30 years of experience in strategic development and construction of upscale residential and commercial construction. Mark Levy and Jack Kay were chairmen. 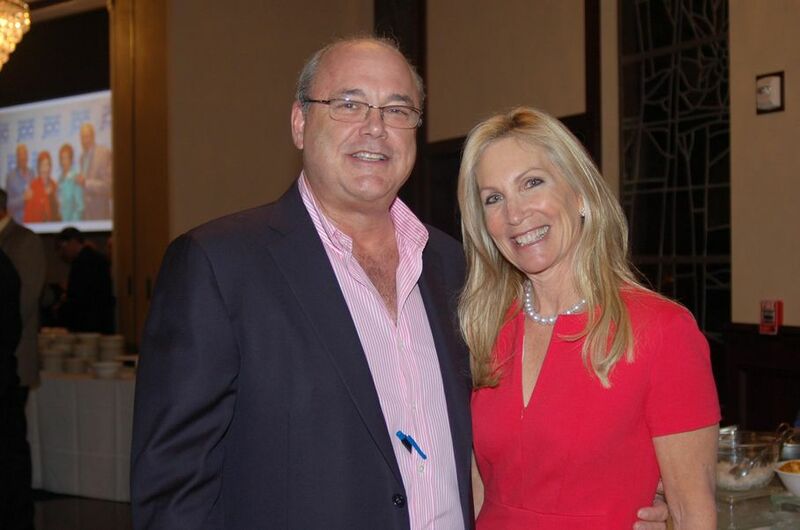 Nearly 200 people attended, including Paul Gross, president of the JCC of the Greater Palm Beaches; JCC past presidents Stacey Levy, Richard Comiter, Nancy Sims, Zelda Mason and Stephen Shapiro; Michelle Wasch Lobovits, executive director of the JCC of the Greater Palm Beaches, and David Phillips, CEO of the Jewish Federation of Palm Beach County.